Displaying individual map for each museum. Displaying multiple markers on single Google map. Search box to search museum by state. 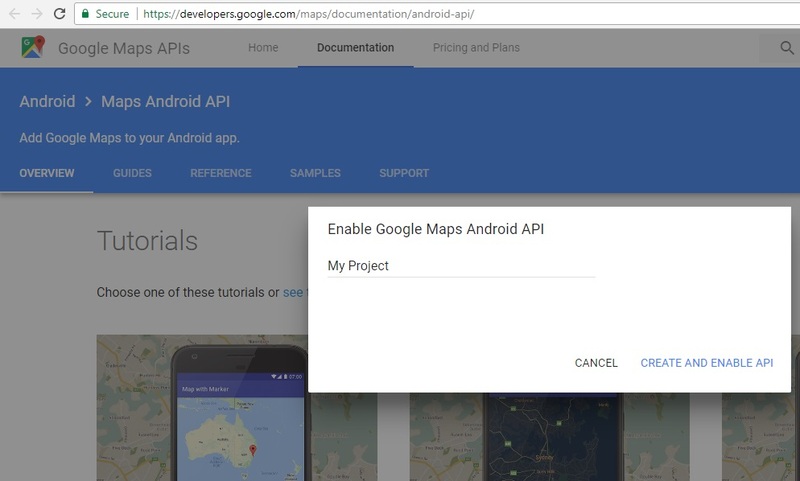 In order to use the Google Maps API, you must register your application on the Google Developer Console and enable the API. To do this, start by going to the Google Developer Console for Google JS API. If you already have a project created, you can skip the next section. If not, you can follow along and create a new project for your maps application and then you have to create credentials in Google developer console. We have completed the external configuration, now time to write code for our museum Ionic Apps. We will add two more page. In app.module.ts file we need to register the provider for Geolocation plugin. Step 5: Create services to shared data between pages. Create a folder called service in app folder, as ionic 4 we are sharing data through services. Generate service to share museum data between pages. We have to add the list of the museum in musuem.json file. In src/assets/data add a new file called museum.json file. Add the following museum lists. In home.page.ts modify the following code, as we need to create service to set and get museum data, so that we can shared data between pages.